Let’s paint the scene: You spend hours creating content for your blogging, you’re churning out several blog posts a week, taking and editing countless photos, sharing on insta, and yet nobody seems to really be reading your blog. Well, not as many people as you’d like. So you try even harder to promote your blog and connect with your readers, but you only have so many hours in the day. I totally get that. Because being a blogger takes up so much of our time, especially when it’s also a business or on its way to being a full-time biz. The important thing is not to overwork yourself and feel stressed at the thought of managing your Pinterest account. If this rings a bell, you might want to consider hiring a Pinterest Manager. Pinterest is more than just the home decor and fun little recipes. In fact, for the last year or so Pinterest has been the #1 source of traffic to my blog. Day after day, Pinterest brings readers to my website. It’s a great resource to tap into because there are over 175 million monthly active users on the platform and there are millions more who are signing up every single day. 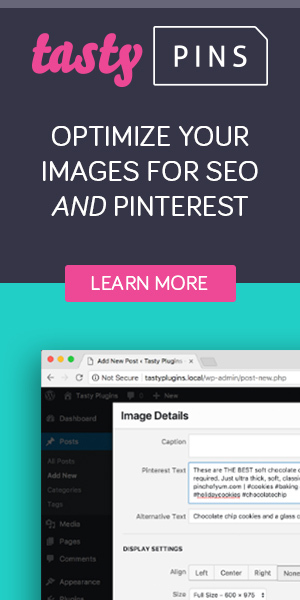 Besides the huge amount of people on Pinterest, another great benefit is the fact that your pins “live” longer. You might be thinking what exactly do I mean by live. This is referring to the average lifespan! The average lifespan of a Tweet is just minutes. A Facebook post is in newsfeeds for just a few hours. It’s looking pretty obvious that as a blogger or business owner, you really need to invest time and energy into running your Pinterest account and creating a presence for yourself on the platform. You know the benefits of Pinterest and you’re pinning like crazy, but it’s just not converting to any traffic to your blog how you’d like it to. You’ve had a method in place but you might not have been entirely consistent with it. You may have joined some group boards here and there and you’re getting some followers. In reality,though, you’re sick of seeing very few results for your efforts. You’re not really sure what you’re doing with Pinterest at all! This is pretty common for new bloggers who join the platform. You might be using it as a personal account and just pinning things you like without a real strategy set in place. Maybe you’re not entirely sure how to get started with Pinterest or just don’t understand how to leverage it to bring traffic to your blog. You’d love to be on Pinterest and have a better action plan set up, but you’d honestly rather focus on other biz-growing activities. Maybe you offer a service and need to spend more time working with clients. Or maybe you’d rather spend your time growing your email list. Whatever the case may be, there are other tasks in your business that require your attention. Maybe you’re not on Pinterest, but you’ve heard it could do wonders for your blog traffic. But you just can’t stand the thought of learning and managing yet another platform. Because isn’t Instagram already frustrating enough?! If you’re not seeing conversions and traffic coming from your one link on Instagram, you might feel that getting on Pinterest seems useless. Another reason is that you just don’t have the time! If you’re a blogger who’s also got a 9-5 job eating up a chunk of your day, you might not have a minute to spare to jump on Pinterest and grow your presence. You might be spending all your free time writing blog posts. Your to-do list keeps growing. You know you want to be on Pinterest but you jump keep putting it off because you tell yourself you just don’t have time to spare. The good news is that a Pinterest Manager can solve this for you and take care of all things Pinterest so that you can take back your time and not feel so overwhelmed by it all. So what exactly does a Pinterest Manager do? I’m a Pinterest Manager and I can assure you that it’s more than just sitting around and pinning all day. Pinterest Managers create a growth strategy and keep your account in check. They are professionals that focus on using Pinterest as a powerful marketing tool for your business. We have your best interests in mind and want to see your account convert traffic like crazy! A Pinterest Manager can help you grow your brand by purposefully sharing your content in specific ways that maximize their efforts. People all over the world are constantly using Pinterest. A Pinterest Manager knows that there are certain times of the day that are best for pinning and they know that there is an optimal amount of pins per day you should be posting. Pinterest Managers take care of even the tiniest little details you may not have even realized you should be paying attention to. There is a method to the madness and who knows that method more than a Pinterest Manager? Pinterest Managers will take care of even the most annoying tasks like coming up with the perfect pin or board description that is loaded with SEO keywords. They will keep an eye on your analytics and check in on your account several times a week, if not daily. Managing an account can take hours every single week and having someone handle that for you save you so much time. They are helping you grow your business so that you can spend time working on other tasks and doing the things you love. They can also create powerful, branded content for you that goes along with your blog posts. Pinterest Managers (like me!) can create viral, clickworthy Pinterest designs that match your branding and look uniform. We know the formula for the perfect pin design and know what catches people’s eye when they are browsing through Pinterest. By creating visually appealing images, we can establish your authority in your niche. Pinners will then recognize your Pinterest graphics and be more inclined to click on them. This means more eyes on your blog posts, more sales, and more time to focus on what you do best! Lastly, they join Pinterest group boards for you. They scour the Internet for the best boards to join that will have the most return. It takes a bit of time to find all the best boards. And once you do, you still have to contact every single board owner for an invite to become a collaborator. Pinterest Managers can take care of that for you! I’m a Pinterest Manager and currently offer various services such as account makeovers, Pinterest account audits & strategy guides, along with Pinterest monthly management. And if design is what you’re after, come check out my shop! Think about it: Why not let a professional take care of it for you? They know exactly what they’re doing and can yield amazing results for you. Once you hire a Pinterest Manager, all you have to do is sit back and relax while they handle the nitty-gritty! So what are you waiting for?